The thing I found curious is that I changed his style, his interactions with his community, the way he presented himself to the heroine and to the world at large, but I did not change the essence of who he was as a person. Inside, he was the same passionate, powerful, protective man I’d originally envisaged. Justine put up a post a couple of months ago (Making Your “Alpha Male” a Lot More Like Nature’s Alpha Males) that talked about the qualities of the Alpha in primatology—a role that demands generosity and compassion as well as respect and strength. 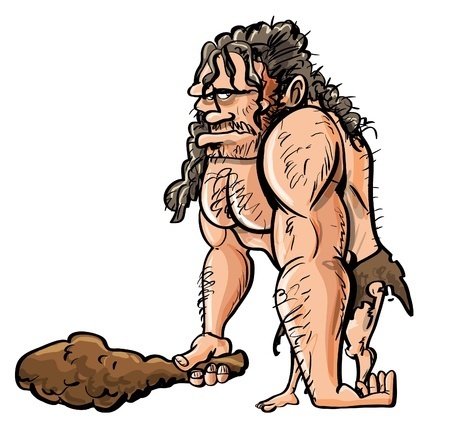 The more I think about it, the more I think that many cavemen alphas of the past always had these soft qualities, they just existed in a world where they were not expected or even allowed to show them. The fun of those old skool books was to watch the heroine unearth the smart, caring guy under the asshat. Now the world has changed, and that chest-beating bozo just isn’t credible anymore. If he’s that much of an arse on the outside, nobody’s going to believe he’s a nice guy deep down, and no reader is going to stick around to find out. What do you think? Do you think today’s alpha male has a better balanced portfolio of hard and soft qualities than his literary predecessor, or is it simply that an alpha hero in 2018 is allowed, even expected to display more of his sensitive inner self? This entry was posted in Basic writing skills, Character, Fiction Fundamentals, Heroes, Revising and tagged alpha asshats, alpha heroes, alpha males, eight ladies writing, Jilly Wood, romance writing. Bookmark the permalink. I’m sure you’ve read this, but I think this is a really useful analysis of the alpha male subset: alphahole! This post started me down a path of researching alpha females (because I think I need one in a Contemporary I’m working on). So thanks for the push! Glad to be of help, and have to say I love an alpha female. In fact, the other thing I’ve realised lately is that the alpha heroes I really like, the ones that make it to my keeper shelf, are the ones that are smart and strong enough to accept an alpha female as an equal, a partner and sidekick. As a reader, I really don’t like the typical alphahole. I especially don’t like the kind of alphahole who is the way he is because he’s been so traumatized by life. I don’t like a whiny one. But as a writer? Well, I find there’s not much I can do with an alphahole except abandon him and write a different story. I remember struggling with Hadiz so much, trying to make him into something different (he WASN’T an alphahole; some said he was a wimp). I changed his face, his name, his accent, and he still was what he was. One way to go is to ground the character in the current social reality but move it more toward the direction you’d like to see us evolve.